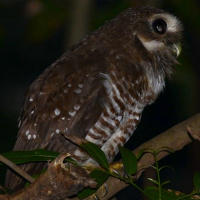 The Madagascar Hawk Owl is a small to medium-sized owl with a rounded head and no ear-tufts. 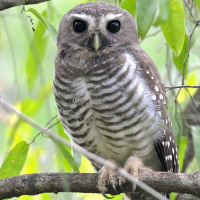 It is also known as the White-browed Hawk Owl. 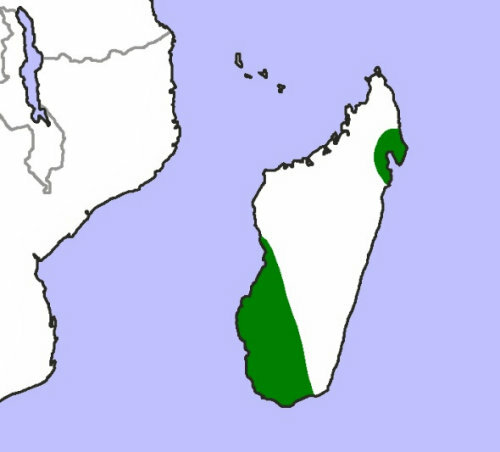 Distribution: Endemic in northeast and southwest Madagascar. 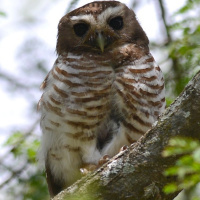 See also: Other owls from Africa, Genus: Ninox. 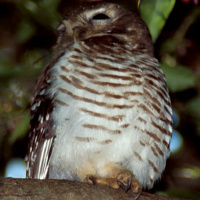 Page by Deane Lewis. Last updated 2016-01-14.